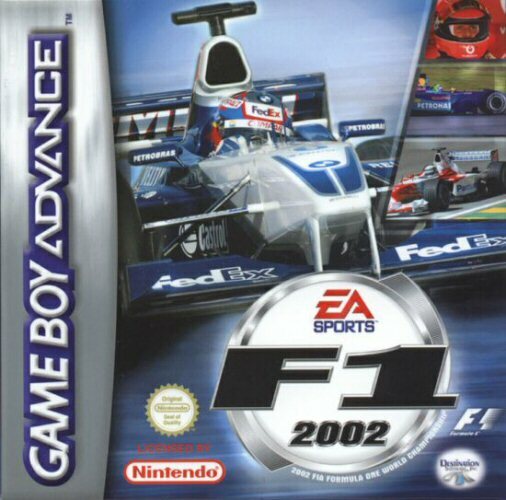 OverviewF1 2002 was the second last Formula 1 game released by EA before losing the official license to Sony Computer Entertainment. It featured drivers, tracks and races from the 2002 Formula 1 World Championship. 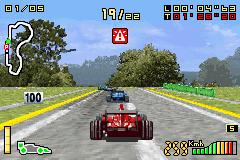 The game also featured an advance telemetry feature that allowed users to view race infomation. Now you can add videos, screenshots, or other images (cover scans, disc scans, etc.) for F1 2002 (E)(Advance-Power) to Emuparadise. Do it now! 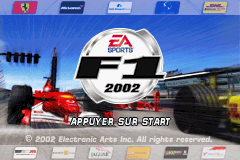 You have the option of playing F1 2002 (E)(Advance-Power) in your browser, right here at EmuParadise! No need for any software, no installations required, all you need is a fast enough PC and a browser with Flash support. This is great if you're on a PC with restrictions on software installations or want to secretly play at work.